Powered by the great sounding 2.5-litre engine with power upped to 400PS. Has a real feel-good factor. Virtual cockpit as standard. Available as a coupe or Roadster. Very firm ride means it's uncomfortable on poor roads. 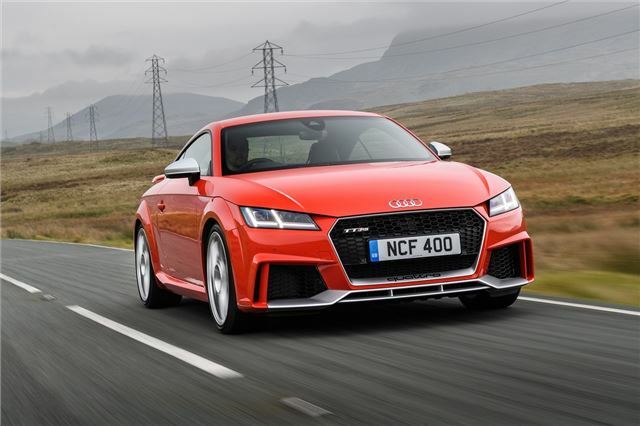 Prices announced for updated Audi TTRS. 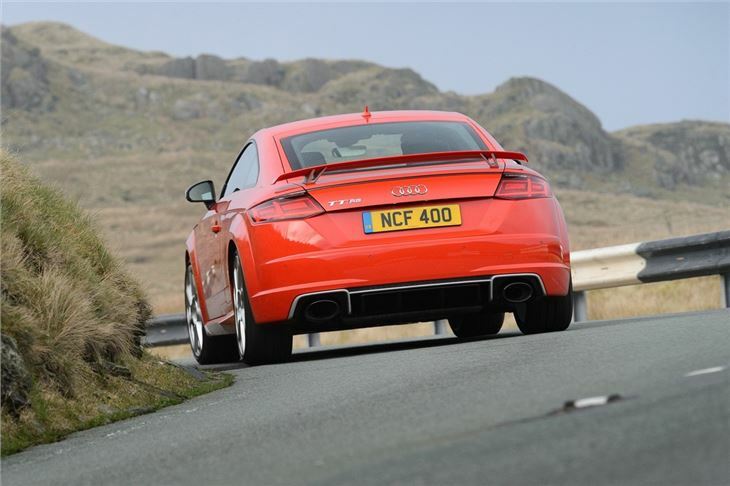 With list prices of more than £50,000, the TT RS competes with some of the best sports cars around. The obvious being the Porsche 718 Cayman S and Boxster S. That's no easy task given how good the Porsche is so why choose the TT RS? Well when it comes to power, Audi has upped its game. While the engine may be the same, it now delivers no less than 400PS. The equivalent Porsche 'only' has 350PS while the BMW M2 has 370PS. So when it comes to big numbers, the TT RS is out in front. It's also quick, on paper at least, with a 0-62mph time of just 3.7 seconds. But that's only half the story. There's more to the TT RS than just power. For starters there's the sound it creates. That 2.5-litre five-cylinder engine is one of the best around, in both character and noise. Go for the optional £1000 sports exhaust and it sounds even better. There's no manual option - only the dual-clutch S tronic - but the steering-wheel paddles mean you can control the shifts. As you'd expect, it comes with quattro four-wheel drive which delivers superb traction. Which brings us to the handling - the TT RS is immense through corners with perfectly weighted steering, while the low centre of gravity and stiff body mean pretty much zero body roll. It's further helped by wheel-selective torque control, so that the RS never scrabbles for grip. It's not a raw performance car though. 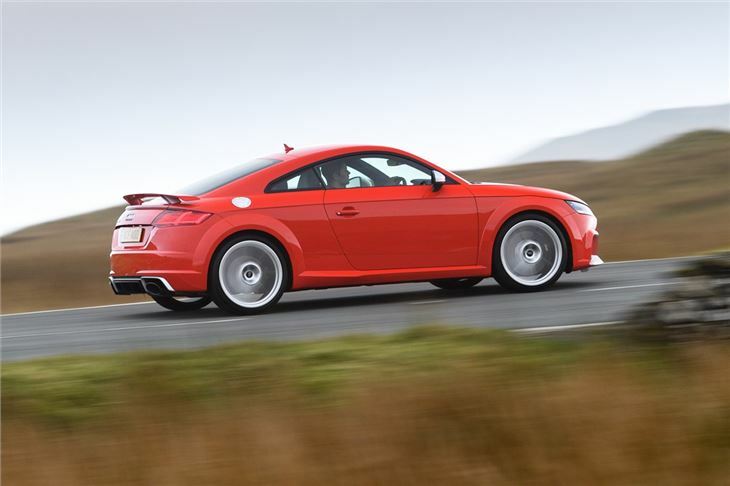 The TT RS is just as easy to drive in town as a family hatchback. You can leave it in D and just potter about. Although the noisy exhaust isn't going to impress the neighbours when you come home late at night. But it's still a performance car that you can live with day to day. The ride lets it down though. 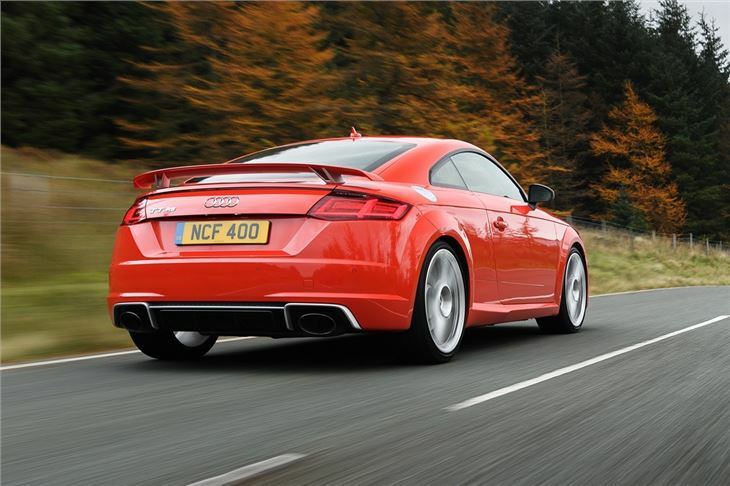 Audi has seemingly given the TT RS a more 'driver-focussed' feel by stiffening the suspension. The result is a ride that's busy and jittery over anything but a smooth road. So it's fine on a new bit of dual carriageway, but very uncomfortable on your average country lane. 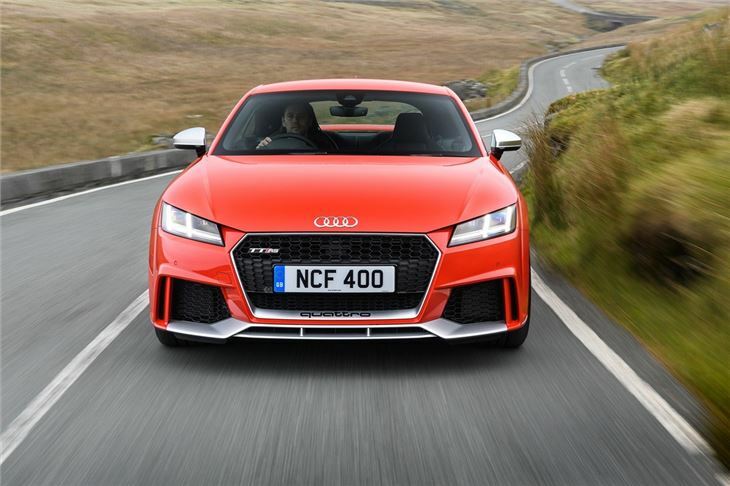 So much so that it's hard to drive quickly, as the TT RS fidgets over the road. Which is a shame as ride quality and good handling don't have to be mutually exclusive - as the Porsche 718 proves. That's not quite enough to detract from the enjoyment of the TT RS. The 2.5-litre engine gives it great character and we like the subtle rather than over the top styling. If you want one of the best cars Audi makes - this is it.